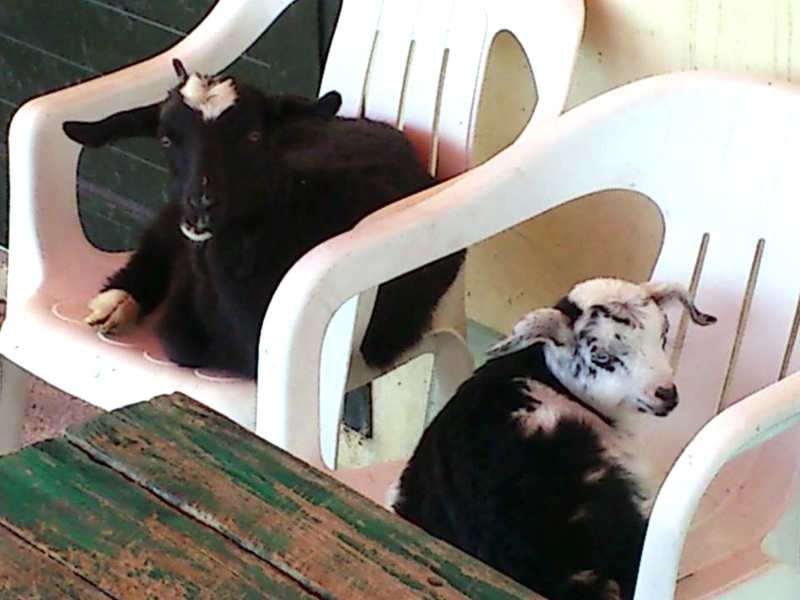 We have two new baby goats in our care: Thodora and Melenia. *** Thodora was first spotted on the mountain by Angeliki, the president of the Filozoiki. Although Thodora was alone, Angeliki thought that her mother was nearby. But the baby goat had an injured leg, and that was a concern, so Litsa, our coordinator, went to look for her but couldn't find her. She did, however, find the owner of the baby goat. He told Litsa that he noticed the injured leg for few days. Litsa offered to have the goat treated at the center, and when she was better, the baby goat would be returned to its flock. 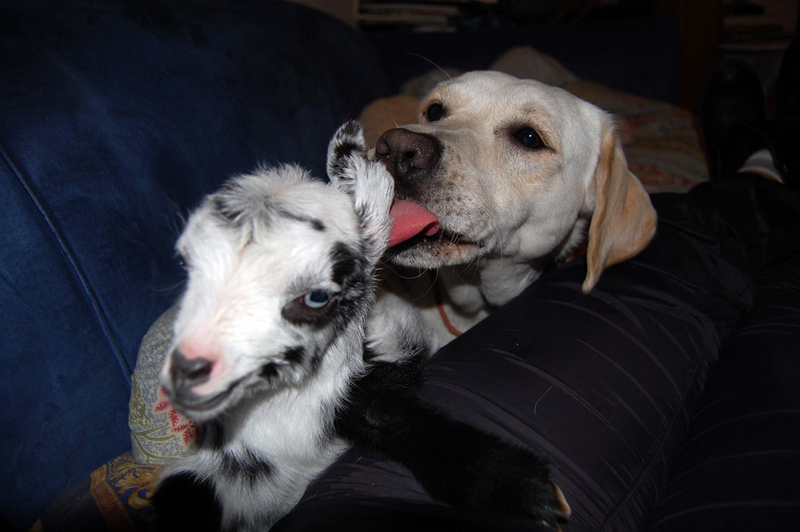 He agreed and later brought the baby goat over. We consulted with our vet who gave instructions for her treatment. Day by day her leg is showing improvement and she has started to take small steps with it. In the beginning she was a fearful, wild animal, who was hiding all the time. Now when she hears Litsa's voice, she starts to reply and she comes directly. Litsa tells us she is a very funny little goat! 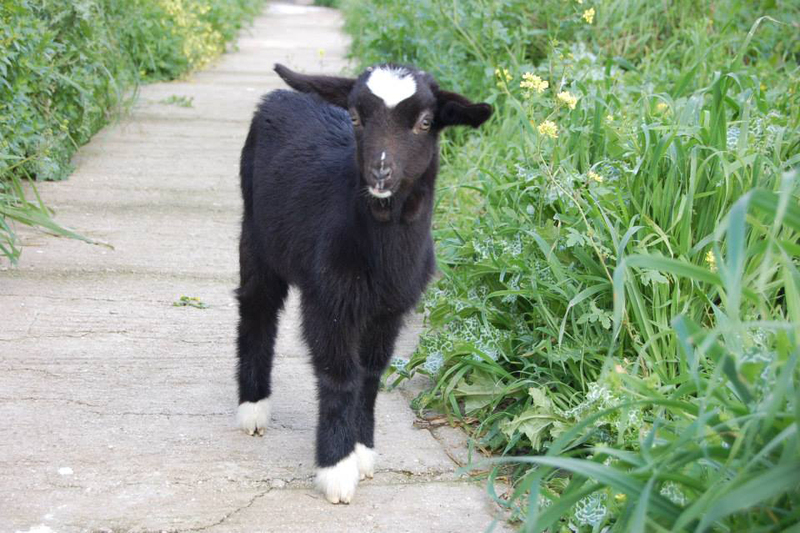 *** On Sunday, February 23rd, we received a call from a girl in Chora who had seen a baby blind goat in the middle of the main road from Chora to Aegiali. She had informed all the shepherds who have flocks in the area but after three days and the goat was still there, she turned to Litsa for help. The goat was at a great risk of being hit by a passing car. 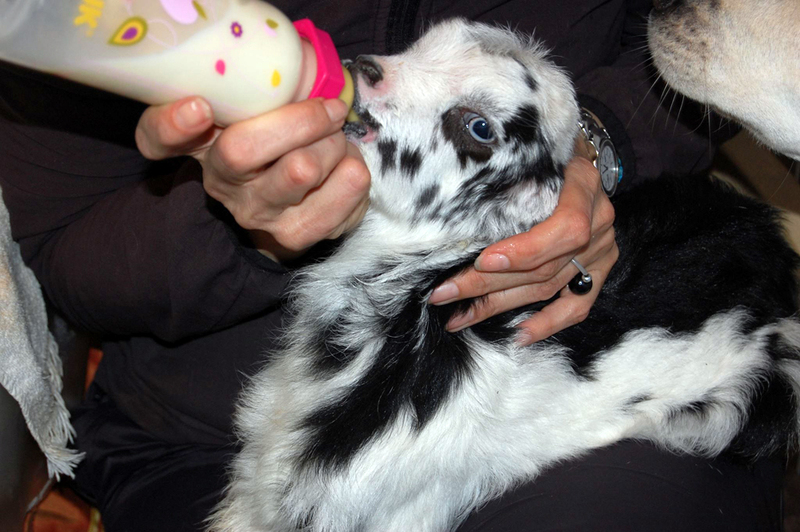 Immediately Angeliki and Litsa went to rescue the baby goat, who was given the name Melenia. She was brought to Litsa's garden where she joins Thodora. Our vet was consulted about how to treat Melenia's eyes. We suspect that she was not born blind because she is a fat, healthy baby. It is more likely that due to a sickness she recently lost her vision. We hope that she will be able to see again one day. Right now, she is still afraid but as she grows comfortable in her new, safe home, we're certain that will change, just as it had with Thodora.